this is why we hunt, what a find! Sulphur, La. — Imagine if you're storming Utah or Omaha beach during the Normandy Invasion in 1944, you reach the cities of Bayeux or St. Vigor le Grand and you have no way of communicating with the locals. In World War II, the U.S. Army wasn't quite concerned about communication skills, with understanding. However, there was an attempt in 1943 to teach American soldiers enough foreign language for basic interraction. Former Sulphur resident Gary Doucet found this out, while combing through a flea market in Winnie, Texas. 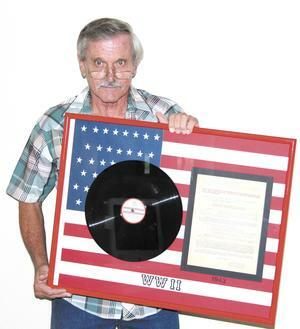 Doucet, who is an avid collector of vintage vinyl records, stumbled upon a World War II Audio teaching aid in near mint condition, which he considers to be one of his prized possessions. "I've been collecting records for several years and enjoy coming across vintage items," he said. "But this one, was really unusual. I basically came upon an old beat up box at this flea market in Texas. Inside this tattered box was a few old 78s in their original sleeve. "When I reached the last record, the memo sheet was underneath," he continued. "It was miraculous that the record and the memo survived over 60 years." gotta love this cover art! 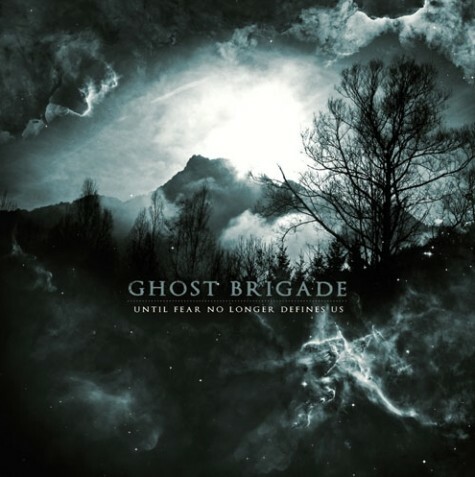 Finnish metal group Ghost Brigade are set to release their third studio LP on August 23. 'Called Until Fear No Longer Defines Us' is scheduled for release in Europe on August 19. The disc will be released as a CD digipak limited to the first pressing, a double gatefold colored vinyl with digital download card, and a collector’s box with CD digipak, regular or unisex T-shirt, leather bracelet, postcard hand-signed by all band members and metal button badges. Poison City are proud to announce a special 12" vinyl release of Luca Brasi's forthcoming debut album, 'Extended Family'. Produced by Nic White and Linc Le Fevre (The Scandal, Ride The Tiger) and mastered by Alan Douches at West West Side NY, 'Extended Family' is a refreshing and mature take on the melodic-punk sound pioneered by the likes of Lifetime and Jawbreaker. 'Extended Family' LP is due out September 26th via Poison City Records. Limited Edition color vinyl preorder will be available later this month. The Raconteurs will play their first live show in two years, and their only planned concert of the year, as headliners of the inaugural MI Fest, which takes place Sept. 17 at the Michigan International Speedway in Brooklyn, Michigan. The performance will break a hiatus for the band, which features Jack White, Brendan Benson and the Greenhornes rhythm section of bassist Jack Lawrence (who also plays with White in the Dead Weather) and drummer Patrick Keeler. The individual group members have been working on other side projects since the summer of 2008. The Raconteurs have released two studio albums, the most recent being 2008’s Consolers of the Lonely. There’s no word yet on if the guys are working on a follow-up. The Raconteurs will be joined at the MI Fest by co-headliner Sheryl Crow, while a variety of Michigan-based artists will fill out the two-stage bill, including Mitch Ryder, former Grand Funk Railroad frontman Mark Farner, the Romantics, the Rockets, Alto Reed from Bob Seger's Silver Bullet Band and Kid Rock protege Ty Stone & the Truth. The festival will also include an art show featuring works by legendary rock poster artists such as Gary Grimshaw, Stanley Mouse and Mark Arminski. Atlanta, Georgia based heavy metal outfit Mastodon has revealed the front cover artwork for their forthcoming new studio album, "The Hunter." The album will be released in October through Reprise Records. The band is notorious for their album covers consisting of strange and beautiful acid trip-like designs. 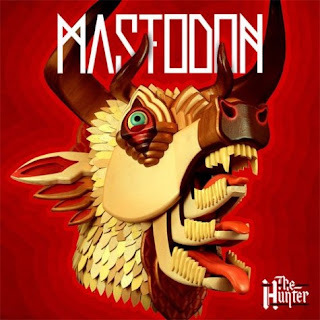 For 'The Hunter' though, the band decided to go with a new artist for the first time and hired their set designer/sculptor AJ Fosik. Their last record covers were drawn by acclaimed artist Paul Romano. freaking fantastic vinyl story, a must read for vinyl lovers! It’s a lazy Friday afternoon in June inside the Disc-Connection in Central Square. Owner Gene Webb grabs his phone on the first ring. It’s Rich Valentine, of Morris (near Oneonta), ready to talk about his monthly order. “Sometimes I spend $80. Sometimes $60. Or $20,” Valentine says when Webb hands his phone to the reporter. Why has Valentine been doing business with Webb for 20 years? In fact, Webb’s knack for securing the product Valentine wants has earned the proprietor a nickname. “I call him Gene, Gene, the Vinyl Machine,” Valentine says. Webb digs it. He calls himself The Vinylist on eBay. lovely story from 'down under,' they love their vinyl! While CD sales slump, Melburnians can’t get enough of those black plastic discs. Everybody has a vice. Some people spend hours playing video games. Others watch four games of football every weekend, or blow their pay on shoes or books. Judging by the queues stretching down Bourke Street Mall, a fair few Melburnians already have Spanish fashion giant Zara as theirs. My vice is vinyl. I can’t get enough of those beautiful discs of black plastic. Earlier this year I visited the United States and had to smuggle my newly acquired records home in my carry-on luggage to avoid excess baggage charges. Many will remain in their shrink wrapping, unopened and in mint condition until the end of time. Others, bought second-hand, come lovingly scuffed. I love flipping the sleeves over, wondering where they lived before they ended up in my possession. for some reason, i love this artwork! 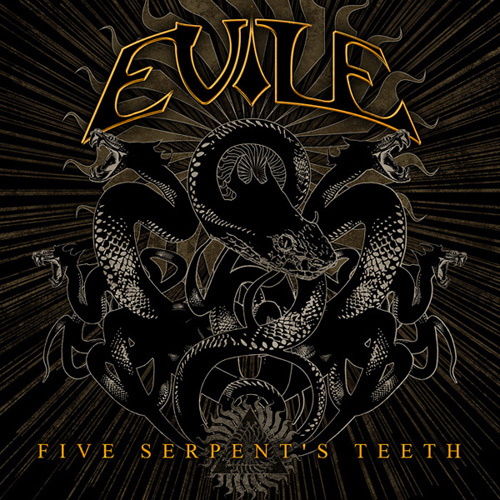 "So here it is, the artwork for Five Serpent's Teeth. 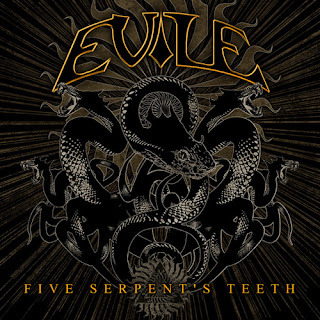 As is always the case with Evile, we try and do things a bit differently from what we've done before, so we fancied something a bit more design-orientated this time around. It's been done by a great artist by the name of Gustavo Sazes and he really came through for us as we were struggling to find something that visually accompanied the music, so hats off to the man! Make what you will of any meaning you think the cover may hold, much the same as you will be able to do with the lyrical content of the album; we know what it means to us, so enjoy!" Chunksaah have announced the release of “Natural Disaster”, Gregory Attonito of the Bouncing Souls solo album debut, due out July 12, 2011. Natural Disaster will pressed on a 10″ available in 3 different colors; Aqua Blue (Chunksaah Exclusive, Limited to 500 copies), Oxblood Red (Limited to 500 copies, available at Shop Radio Cast and other retailers), and a Highlighter yellow (Tour exclusive, Limited to 250). UFO will have nine of their albums re-released on heavyweight LPs with gatefold sleeves with the first 1,000 of each going out on colored vinyl. In the release will be Phenomenon (1974), Force It (1975), No Heavy Petting (1976), Lights Out (1977), Obsession (1978), Strangers in the Night (1979), No Place to Run (1980), The Wild, the Willing and the Innocent (1981), Mechanix (1982), Making Contact (1983) and Misdemeanor (1985). Blondie will be in North America from early September to mid-October in support of their new album Panic of Girls. The new album will be out on September 13 preceded by the first single, Mother. Tickets go on sale this Friday. 3. Stephen Colbert & The Black Belles - Charlene II (I'm Over You) 7"
9. Eddie Vedder - Longing To Belong 7"
11. Radiohead - Supercollider 12"
12. KORT - Please Don't Touch 7"
15. The Flaming Lips w/ Prefuse 73 - The Supermoon Made Me Want To Pee 12"
17. Bon Iver - Calgary 12"
22. D. Watusi - Summer Nights 7"
In 1954, Memphis DJ Dewey Phillips became the first person to air an Elvis Presley record ("That's Alright Mama"). Also in 1954, two versions of "Sh-Boom" hit the US Top 10. The original version by a Black group called the Chords was at #9 and the cover version by a White group called The Crew Cuts was at #5. In 1956, the Platters' "My Prayer" was released. In 1958, Ricky Nelson's "Poor Little Fool" entered the US charts, where it will eventually reach number one. "Only the Lonely" by the immortal Roy Orbison (single) was released in 1960. The Rolling Stones made their debut on British TV in 1963 on Thank Your Lucky Stars. In 1965, Sonny and Cher perform their new single "I Got You Babe" on US TV's Rock and Roll show, Shindig. In 1967, the Monkees kicked off a U.S. tour. Their opening act was Jimi Hendrix. Hendrix was dropped after eight shows, being told that his music was not suitable for a young audience. In 1968, the Yardbirds played their final show in Luton, U.K. Guitarist Jimmy Page was determined to keep the act going, renaming a new line-up The New Yardbirds. Keith Moon of The Who is rumored to have said "...it'll probably go over like a lead zeppelin", thus inspiring the final name change. In 1969, George Harrison recorded his new song, “Here Comes the Sun,” with just two other Beatles, Paul McCartney and Ringo Starr, at Abbey Road Studios in London. John Lennon was absent, recovering from a car crash in Scotland. Paul McCartney's "Live and Let Die" was released in 1973. 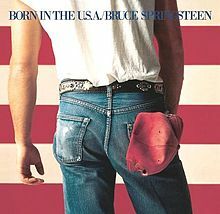 In 1984, Bruce Springsteen went to #1 on the U.S. album chart with Born in the U.S.A. The album went on to spend a total of 139 weeks on the U.S. chart. It is also one of three albums (Michael Jackson’s Thriller and Janet Jackson’s Rhythm Nation 1814) to produce seven Top 10 U.S. singles. Sadly in 1989 - CD sales exceeded vinyl for the first time. The dominance of CDs virtually wiped out the 45 RPM single format, as nothing ended up replacing them. The 3½ inch CD single would die out after record companies refused to offer them at a reasonable price. and yet, vinyl is coming back!! In 2006, Syd Barrett died from complications arising from diabetes. He was 60. The singer, songwriter and guitarist was one of the founding members of Pink Floyd, active as a rock musician for only about seven years before he went into seclusion. He joined Pink Floyd in 1965 but left three years later after one album. Barrett released two solo albums before going into a self-imposed seclusion lasting more than 30 years, with his mental deterioration blamed on drugs. And in 2010, Paul McCartney joined Ringo Starr onstage at a concert at New York's Radio City Music Hall to help celebrate the former Beatle drummer's 70th birthday. With Ringo's All Starr Band joined by Yoko Ono, Joe Walsh, Angus Young and Steven Van Zandt, Paul belted out "Birthday" and Ringo delivered "With A Little Help From My Friends".